Build a shuttle and get iron. If you're trying to get off the planet, use a solid fuel thruster, which is good a trip there and back. The availability of resources describes a progression curve, with more advanced technology requiring resources that more difficult to obtain. This accurately reflects the "leap of faith" I had mentioned burring the last alpha/beta build in early access, so I'm assuming they just changed, the names - I'm disoriented, is novus the moon of the starting planet? Or have I just got to get out in to space and see what's up? 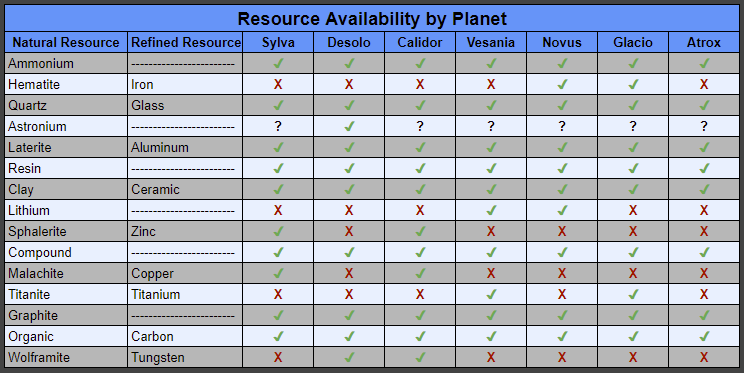 The planets are in order of 'difficulty' - Desolo is Barren, Novus is the Exotic Moon. You can see this info in the Astropedia, the 'rocket' tab of the in-game menu.